Ferndale, MI – Otus Supply in Ferndale continues to amaze as I made my second visit to their uniquely decorated restaurant at 345 E. 9 Mile in Ferndale. There are many small plate menu options, so my friend and I each picked two items then shared them. 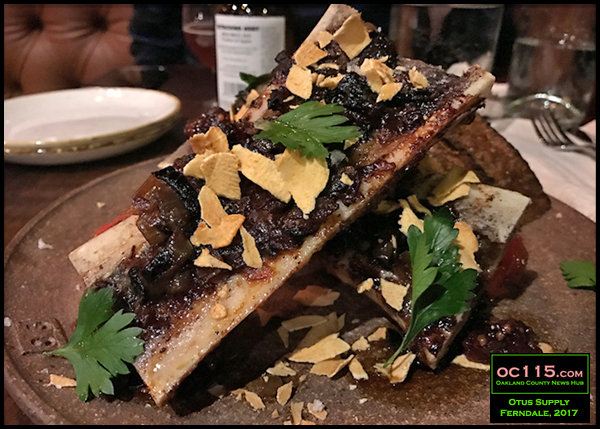 I was excited to try the Bone Marrow, because I did not even realize this was a food before Otus came along. This is a bone sliced lengthwise and topped with ember onion marmalade and apple and served with grilled sourdough. The inside of the bone is very fatty and makes a rich topping when spread on the slices of bread. 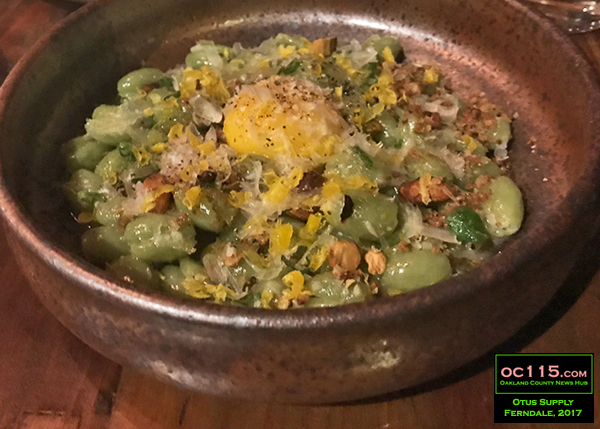 My second choice was the Castellane Verdi, which is an edamame colored pasta served with pistachio egg yolk and parm broth. Words cannot even describe how rich and delicious this dish was. 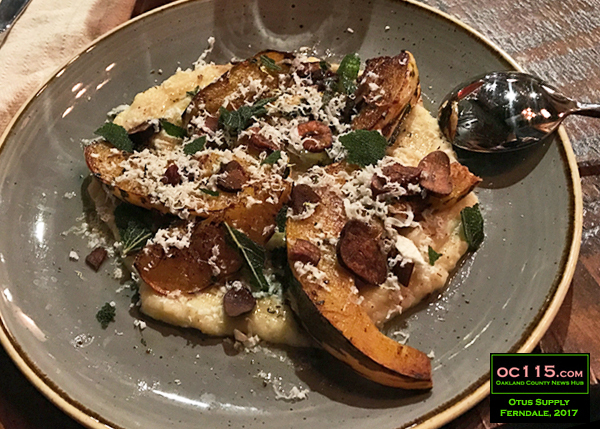 My friend went for the Zucca Al Forno, which is delicata squash with chestnuts, sage and cinnamon. This definitely appealed to my sweet side, and the chestnuts gave it bites of nutty flavor and an enjoyable crunch. 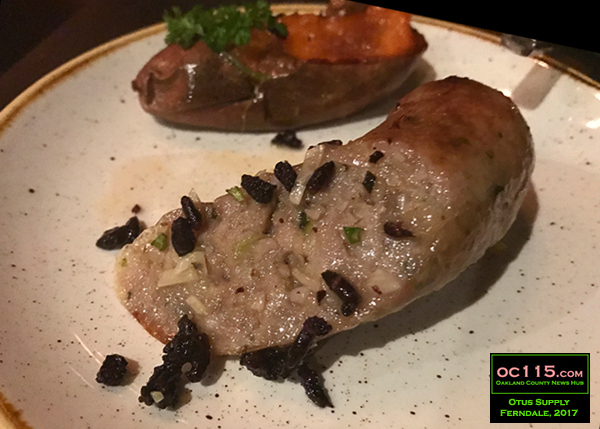 His second choice was the Duck Cotechnio, which is duck sausage served with Apache sweet potato and puffed black rice crispies. I personally did not like the chewy texture of the sausage, but the gentleman I was with thought it was amazing. After my first Reporter Food column about Otus Supply, a reader commented about how tasty their house-made sodas were. 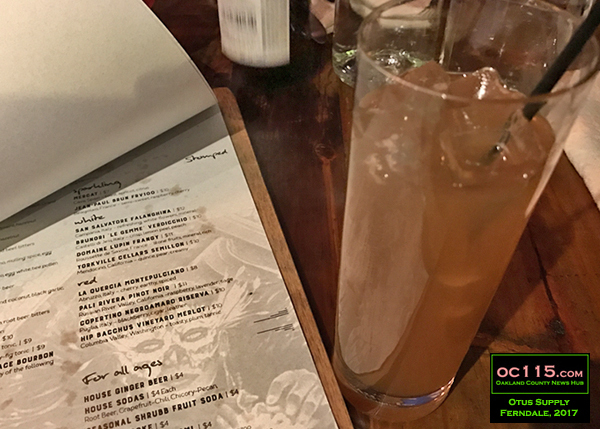 So for this meal I decided to go for the Chicory-Pecan House Soda. This non-alcoholic drink has a distinct flavor to it, and was delightfully bubbly as well. 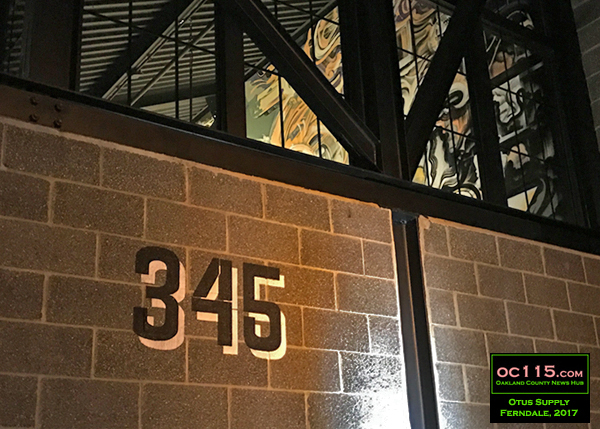 Otus Supply is a welcome addition to Downtown Ferndale. The decor is full of amazing details and the menu is intentionally bizarre, giving guests many interesting options. Check out their website at http://www.otussupply.com/. You can also read a previous column about their Beef Tartare and other items at http://oaklandcounty115.com/2017/01/03/reporter-food-beef-tartare-more-at-otus-supply/.